Which brings us to The Valley. Right off the bat I’m happy to say that The Valley is a vastly superior album to both Our Endless War and Mark of the Blade. While both those records found the Tennessee titans torn between the increasing commercial demands of their growing success and the pressure to keep in touch with their deathlier roots, album number seven has a much clearer sense of self and purpose. It’s an album with something to say, rather than something to prove, and is all the better for it. That being said, it’s not without its flaws, although thankfully these are primarily confined to the first half of the record, and largely centred around the band’s newfound use of clean singing. Now, don’t get me wrong, despite the name of the site I have no issue with singing in Metal. 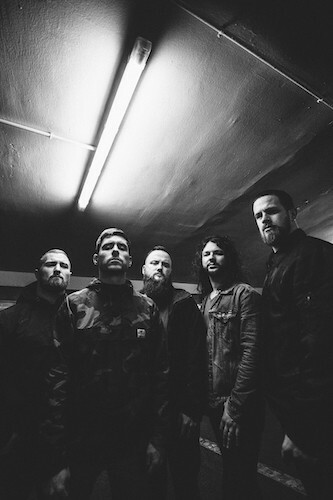 In this particular case, however, the problem is that while the use of clean-sung vocals on tracks like “When A Demon Defiles A Witch” and “Hickory Creek” may be relatively new to Whitechapel themselves, the way in which they’re used here really isn’t. As a matter of fact, rather than adding anything to the group’s identity, the clean vocals on these tracks largely serve to make them sound like a shallow imitation of other, lesser, bands, with the former frequently recalling the most generic output of As I Lay Dying or Demon Hunter, while the latter’s sub-Stone Sour pseudo-balladry honestly feels like it belongs on an entirely different (and much worse) record. It’s not all bad news though, as the surprisingly effective back-and-forth between clean-sung melodies and bowel-shaking growls on late-album highlight “Third Depth” clearly demonstrates the obvious potential in this approach given the right inspiration and execution, and hopefully offers the group something to build on going forwards (if they so choose). Still, The Valley is undeniably at its strongest when it plays to the band’s main strengths – namely their well-documented ability to deliver massive, neck-wrecking riffs, gut-crushing grooves, and vicious, venomous vocals with all the power and precision of a pneumatic drill – as tracks like the punishing “Forgiveness Is Weakness” and the churning riffs and bloody hooks of “The Other Side” make painfully clear. Even when sticking to their guns, however, the group make sure to throw in a few new twists and tweaks to the formula to keep things fresh, thus “Brimstone” finds them experimenting with a much slower, more deliberate pace, which only adds to their already prodigious heaviness, while the chaotically thrashy assault of “We Are One” showcases not only a new level of intensity but also serves to highlight the impressively technical percussive performance of guest drummer Navene Koperweis to stunning effect. And while, “Forgiveness…” and “Brimstone” notwithstanding, while the first half of the album makes for a disappointingly uneven listening experience, the second half is a different story entirely, and the run of tracks from “We Are One” through to moodily melodic, broodingly brilliant closer “Doom Wood” more than makes up for some of the more forced and/or forgettable moments earlier on. 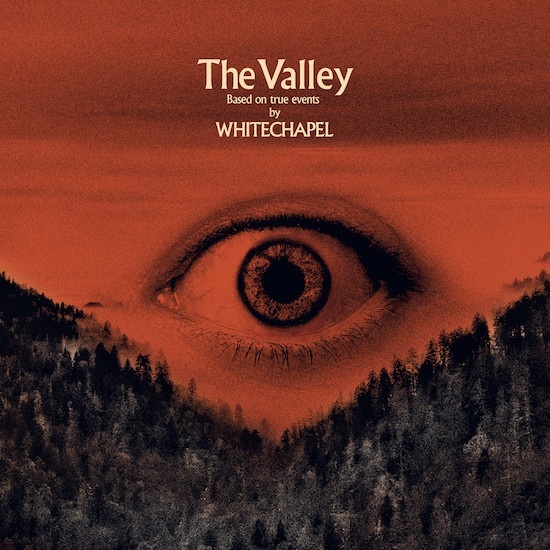 So although it’s not a perfect album by any means, in the final reckoning The Valley still represents something of a return to form by the Whitechapel crew, and offers a healthy helping of killer cuts (plus the occasional bit of filler) that should readily appeal to both the band’s old-school fans as well as their new-school followers. I’m really looking forward to this one. Early reviews have been surprisingly positive, and I like the use of clean singing on Hickory Creek. Hopefully you’ll be pleased then. “Hickory Creek” is easily the blandest and most uninspiring (and uninspired) song on the album, so it’s all up from there.